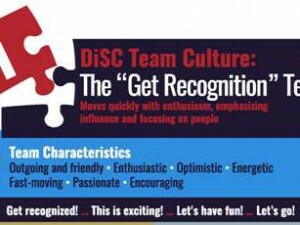 Groups have their own cultures and sometimes that makes a big difference in how they perform as a group and how they interact with other groups. 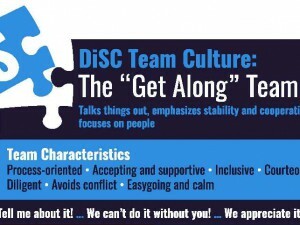 If you have two units or departments that frequently interact, sharing the groups’ DiSC cultures with both can help them communicate and function better. 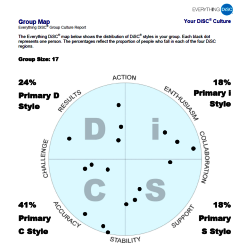 If you have run individual profiles using the EPIC DiSC administration system, you can create a group report that includes whoever has a profile. If teams change you can run a new report to see if the culture of the group is likely to change with the introduction of new members. The group culture isn’t shaped simply by the number of people with similar styles. It is also shaped by the style of the group leader, group history, goals, etc. so you can anticipate very interesting conversations when you share this report. Someone might suddenly understand why he hasn’t felt like he fits in with the team. The team might want to discuss how to watch for some of the possible drawbacks of their culture. 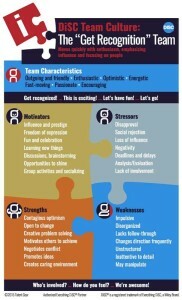 Someone might recognize how their new leader’s changing of the culture caused initial stress to the team. 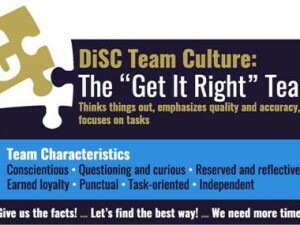 In my next four posts I’ll cover some of the characteristics of the D, i, S, and C cultures. 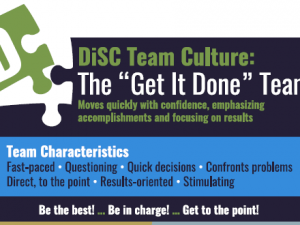 Consider using these posters with your teams. Print out the poster for their own team and let them place it where others who work with them can see it. It’s a great way for them to open a conversation about how they like to work. It’s also helpful for the team to see where they might struggle or exclude members who do not match the group’s style. Put posters or all four styles in a break or conference room to stimulate conversation about personality styles and needs. If your DiSC administrator has given you access to the MyEverythingDiSC.com site, sign in and start exploring. 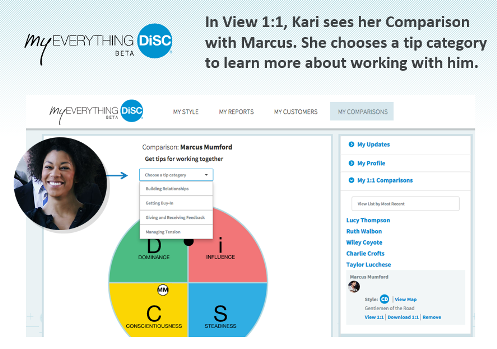 You’ll have access to your report and can invite others in your group or on your team to share their information with you in 1-to-1 Comparison Reports.